In this illusory experience called this lifetime, take nothing seriously – including yourself! I caught up with my cousin after a long, long time. We talked about Life, philosophy and spirituality for a couple of hours. In the course of the conversation, my cousin remarked that Adi Shankara (788 ~ 820 CE) was the greatest philosophers of all time – greater perhaps than Socrates, Plato and Aristotle. My cousin extolled the virtues of the Vivekachudamani, the epic poem that Adi Shankara wrote in 580 verses, to expound his Advaita Vedanta philosophy. I found the conversation with my cousin empowering and enriching. Even so, I came away with a sense of disagreement over anyone wanting to merely pride Indian intellect as being ahead of and above the rest of the world. Why can’t we enjoy anything – philosophy, experiences, whatever – in Life without comparing, I thought to myself. In fact, a story that Osho often narrated from Adi Shankara’s Life, highlights the same perspective. Shankara, who had been conquering great philosophers up until then with his intellect, could not answer this simple man because any answer was going to be against his own philosophy. If he says they are illusory, then there is no point in being angry about it. If he says they are real, then at least he accepts the reality of bodies…but then there is a problem. If human bodies are real, then animal bodies, the bodies of the trees, the bodies of the planets, the stars…then everything is real. I find this story beautiful. Unputdownable in fact. I believe the big learning here is this – enjoy everything that you see or experience for it’s own sake. Don’t try to dramatize and intellectualize anything. Least of all Life. My cousin has phenomenal insights into Advaita Vedanta no doubt, but he lost me while making the avoidable comparison. I don’t think it ever is about who is bigger or who is better or who is richer or who is more beautiful. Everything is what it is. Everyone is who they are. 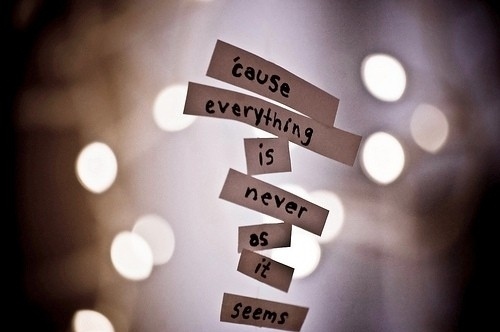 And nothing is permanent. Everything and everyone is transient. So, don’t get caught up in a competition that is meaningless, in running a race which is a non-starter or in ritualizing and intellectualizing Life. Just live – as long as your Life lasts!